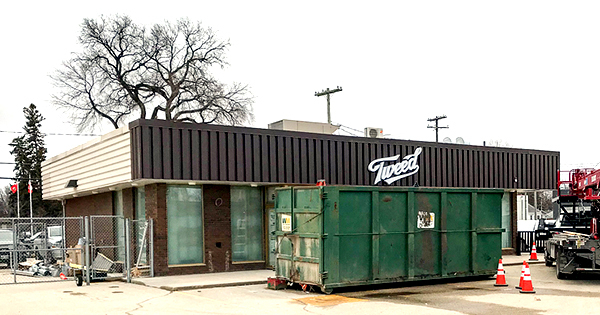 Tweed, a long time cannabis grower from Smith Falls ON put its sign up April 8 at the former Canadian Food Inspection Agency building on Saskatchewan Ave. and 3 St. E.
On its website, Tweed explains that since 2014 it has been producing high-quality cannabis products for tens of thousands of Canadians. Tweed is part of the Canopy Growth Corporation and operates from a former Hershey chocolate factory. It is expected the company will soon announce an opening date.